I have the solution for Kawasaki Fury 125R headlight lamp. 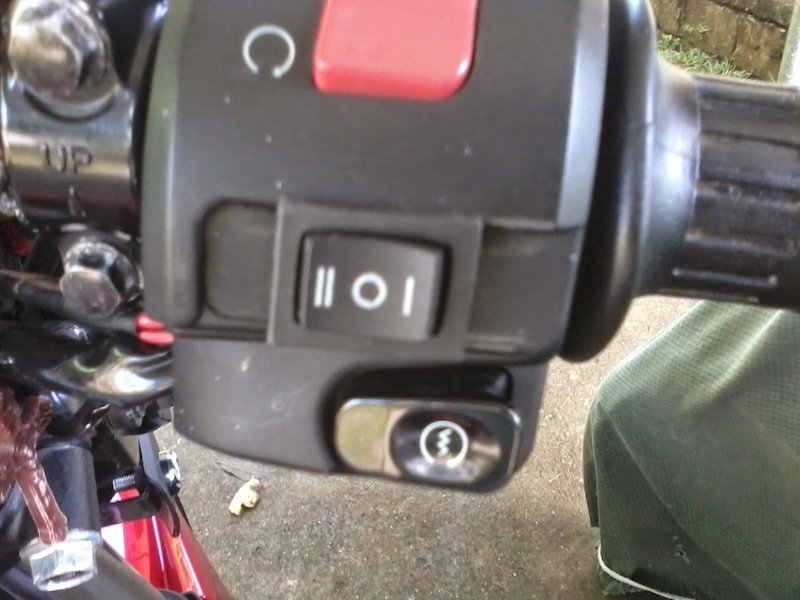 As you have noticed one of the difference between Kasawaki 125 and Kawasaki Fury 125R is the headlight lamp switch, am I right? 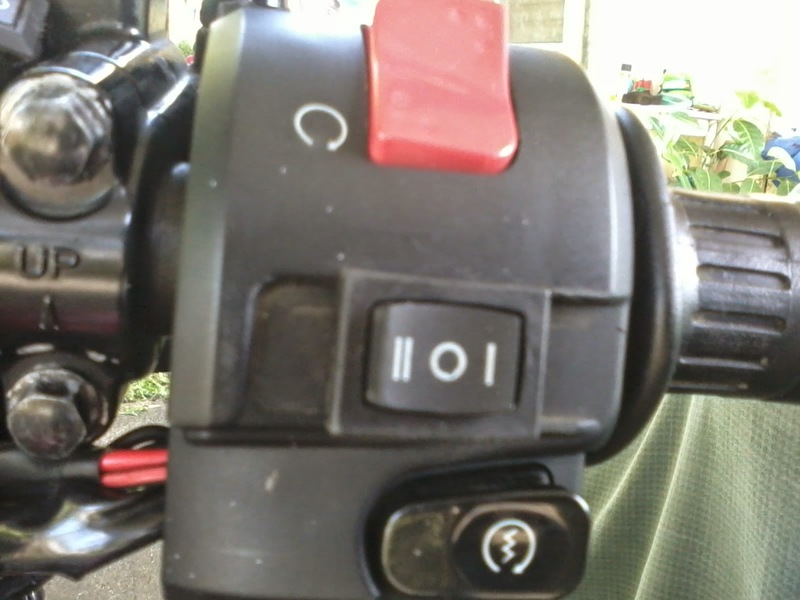 See, Fury 125R has no headlight lamp switch as you compared to Fury 125 has a stock headlight switch. So, I have an idea and solution for that! Me, Myself and I have owned Kawasaki Fury 125R and my first problem is the headlight lamp. It is always lighted ON when your engine turns ON, right? You can't control it and it makes you worried about your battery. It can consume or drain your battery and also during day time it lighted ON. So, it worries you a lot. 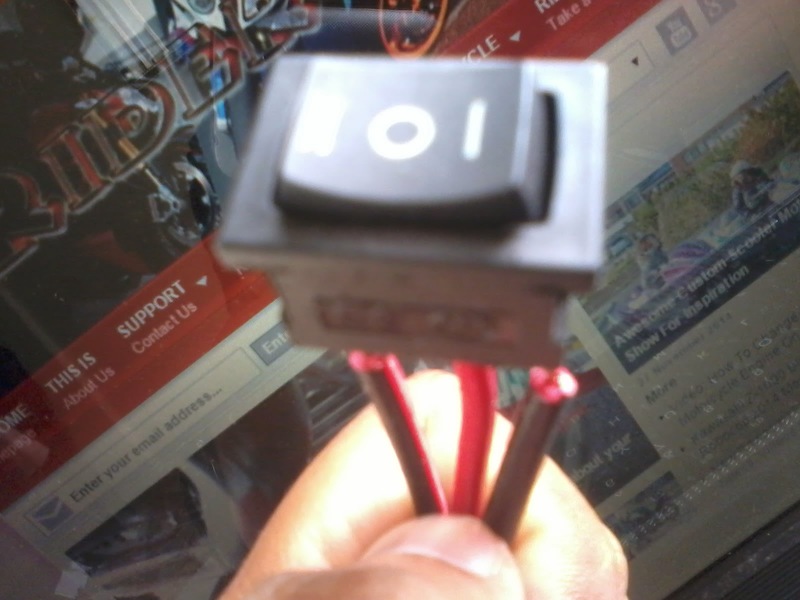 My idea is not just to make damage to your right hand switch but it can helps you to control your headlight's battery consumption and lights OFF during day time. 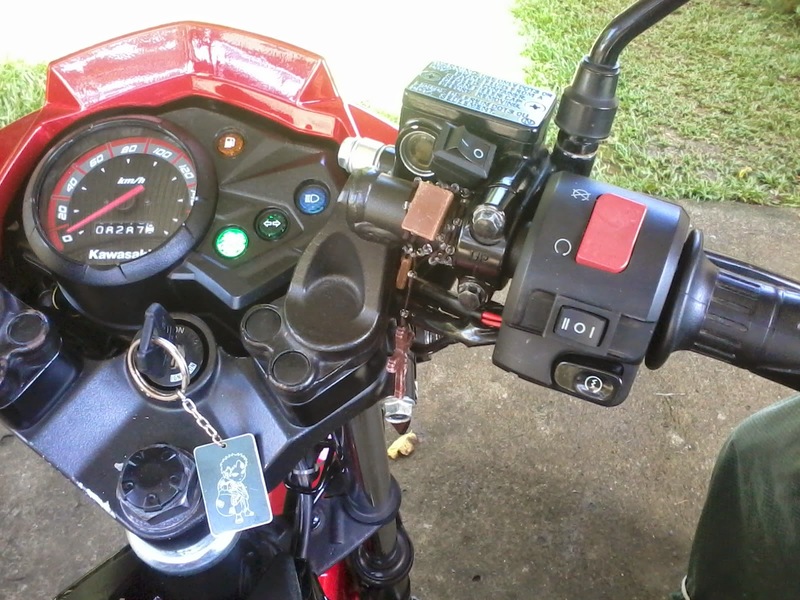 Most of the Kawasaki Fury 125R owner doing is just to buy a Kawasaki Fury 125 stock headlight lamp switch and replacing the Kawasaki Fury 125R stock right hand switch. There's no problem with that if you have budget to buy that stock switch but my point on this post is just give a solution for those who are in budget problem and who has not find any stock switch in their location or area. So, lets start to do it. 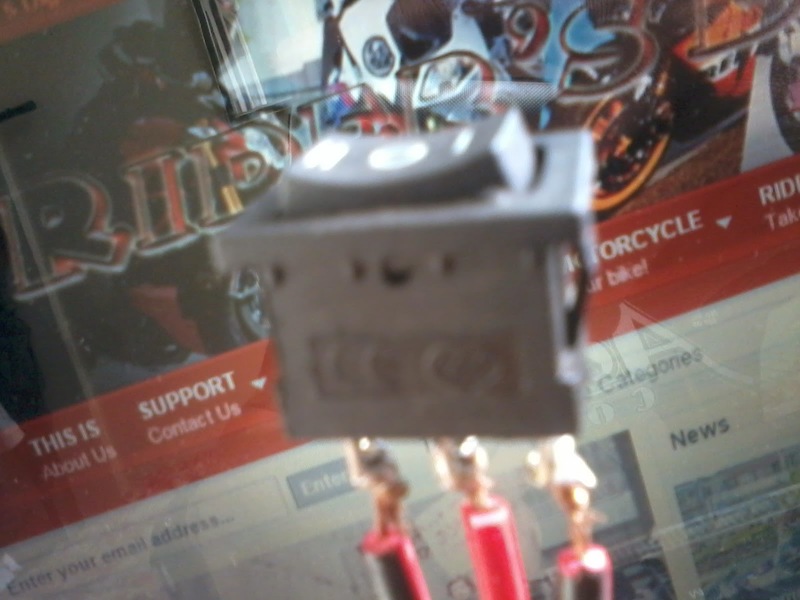 First, all you need to do is buy a thee-way switch (see photo below) as your Kawasaki Fury 125R headlight lamp switch. I assumed it is a temporary switch. 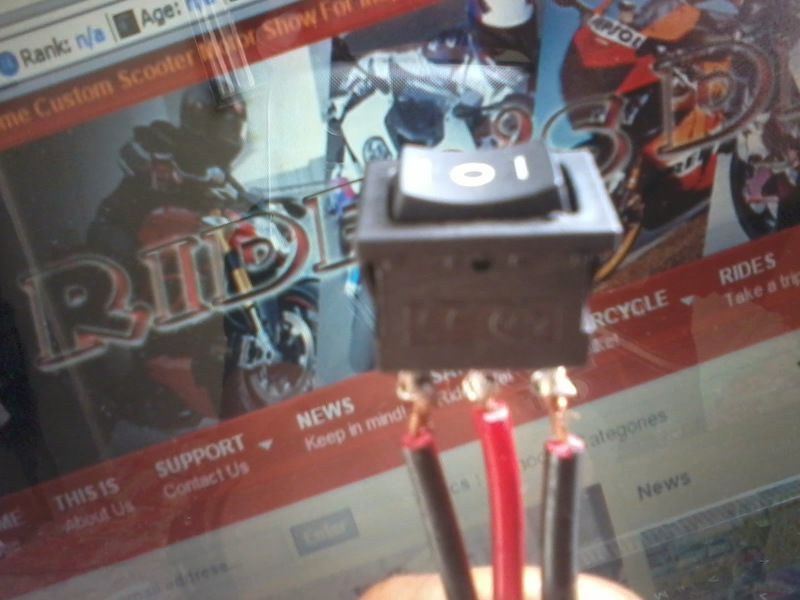 Don't worry about the damage when installing the switch in the right hand switch of your Fury 125R because I will teach you how to put in the right place. 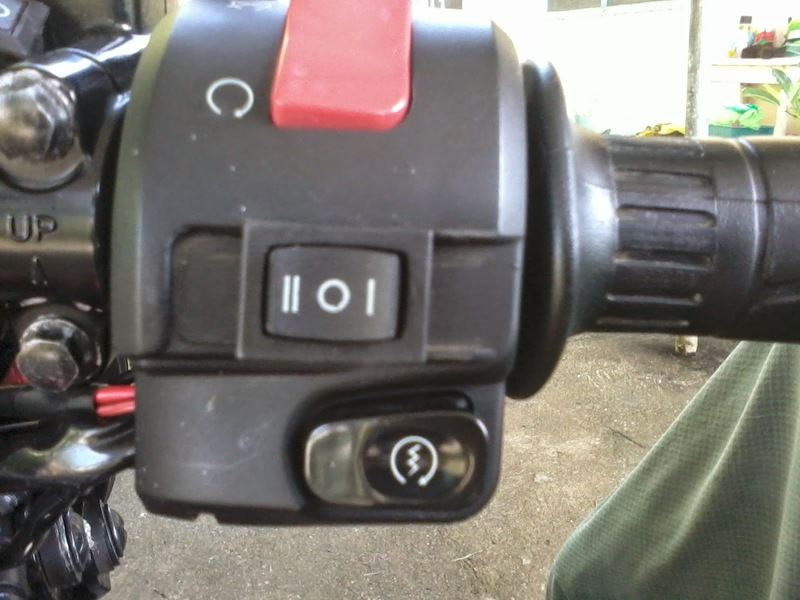 Take off the right hand switch fiber case from the right handle bar. Take the front case (the one with the whole for headlight switch assuming it is the Fury 125 stock) and check inside it for the right measurement for the three-way switch's whole. Make a whole like square to fit the back end of the three-way switch by cutting with the flat-head screwdriver and hammer or any other tool that can cut off the part of the fiber. 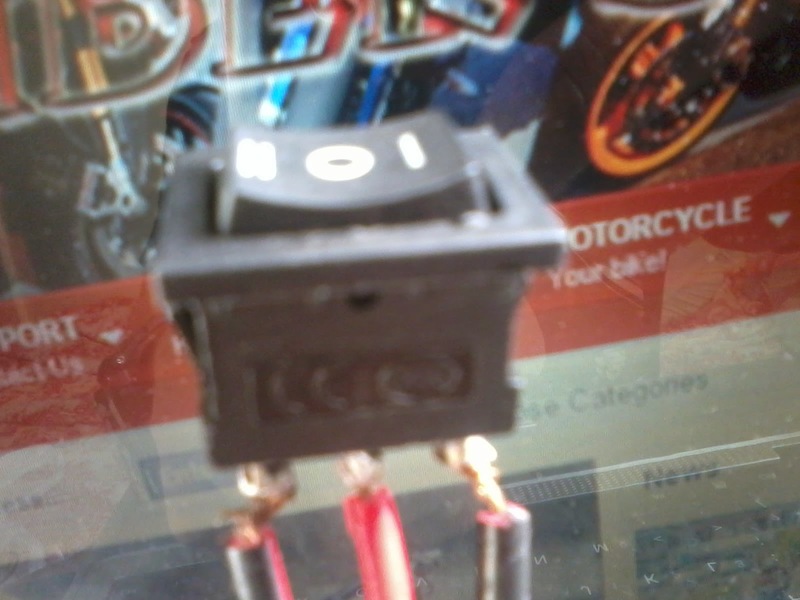 As you will see the photo below, I inserted the back end of the three-way switch inside the stock switch and it locked ON. 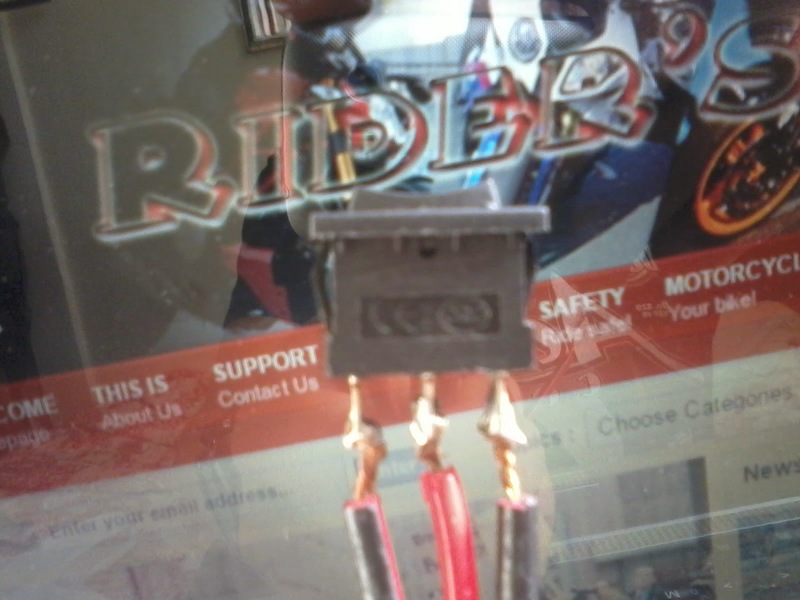 Make sure you attached or leaded on the three wires on the three end of the three-way switch using soldering iron. 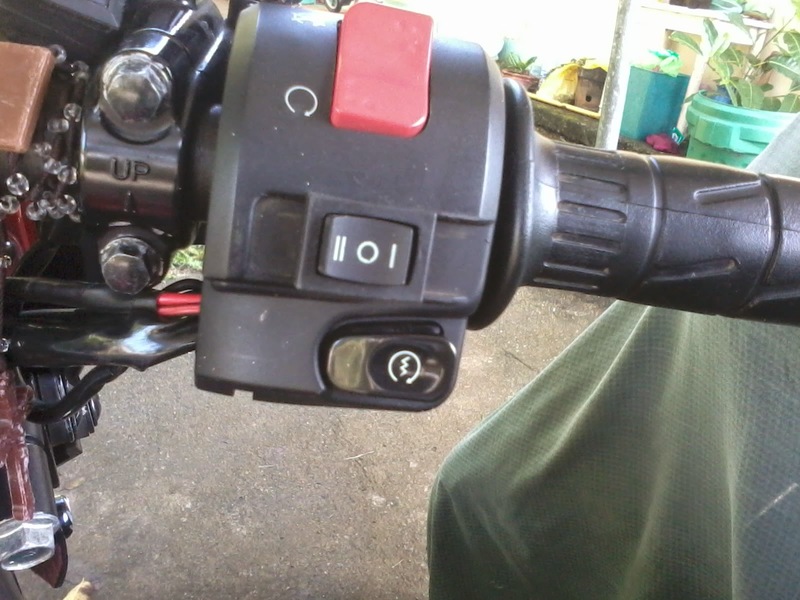 Return and fix the right hand stock switch to the right handle bar of your Kawasaki Fury 125R. Lock it and screw it ON. Next is to connect the three wires (attached from the three-way switch) to the exact connection of the headlight lamp wires. The one is for the headlight lamp and the other is for the fog light. The third one is for the source or for battery connection. Fix it, tight it up with electrical tape and make sure all wiring are hidden to the right place so that it looks clean. Check the connection by turning your switch ON to the right, to the center and to the left. You will see the Kawasaki Fury 125R headlight lamp and fog light turning ON and OFF. If it is not working, you can let the electrician or expert fix it for you. Hope the tips helps you a lot. Ride safe!